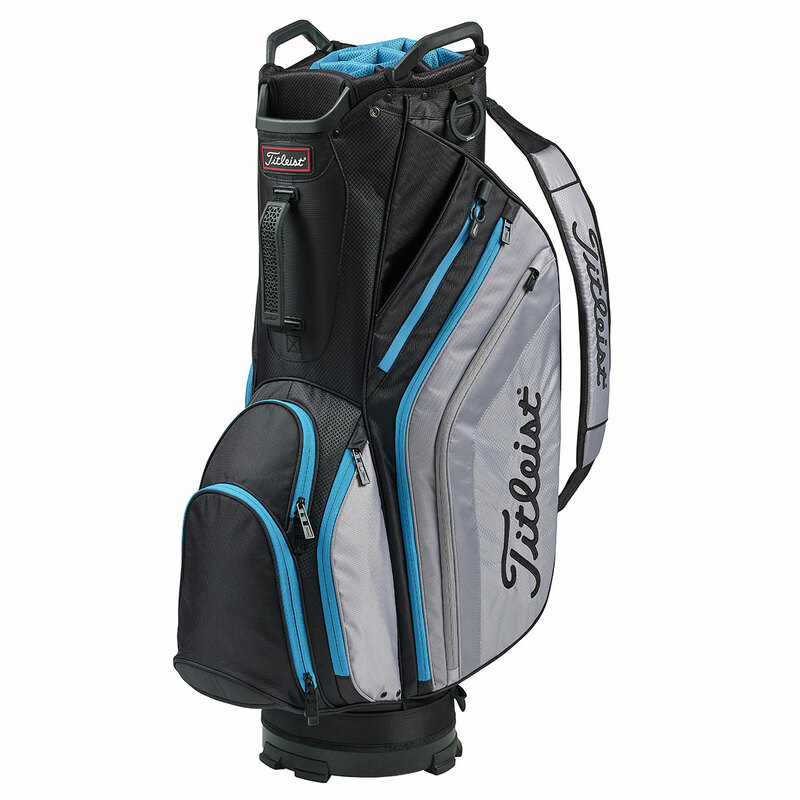 Lightweight, Functional and Stylish, this premium golf cart bag has all the golfer requirements to keep you fully organised all season long. 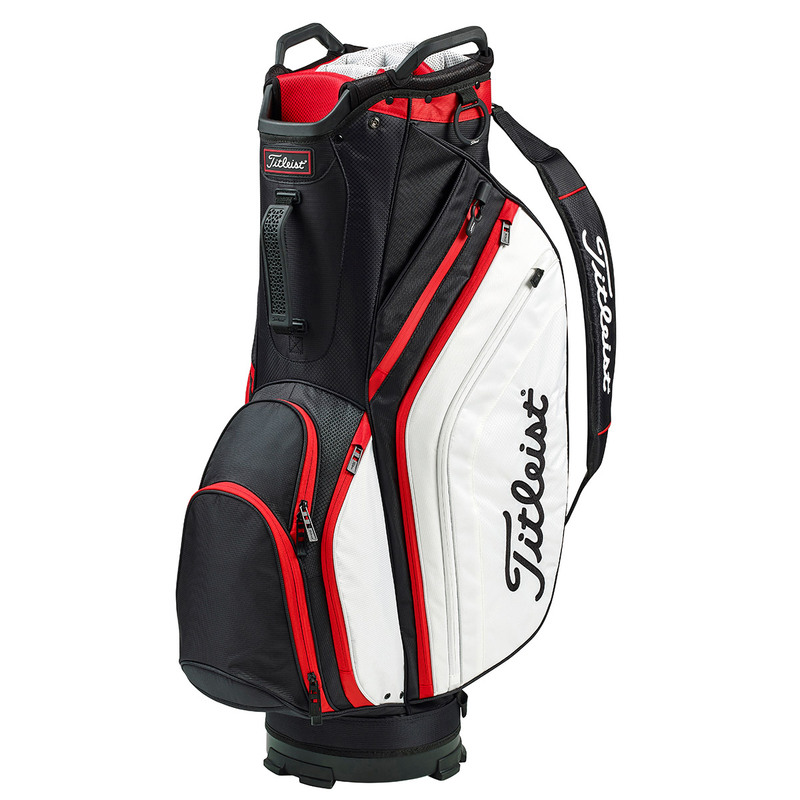 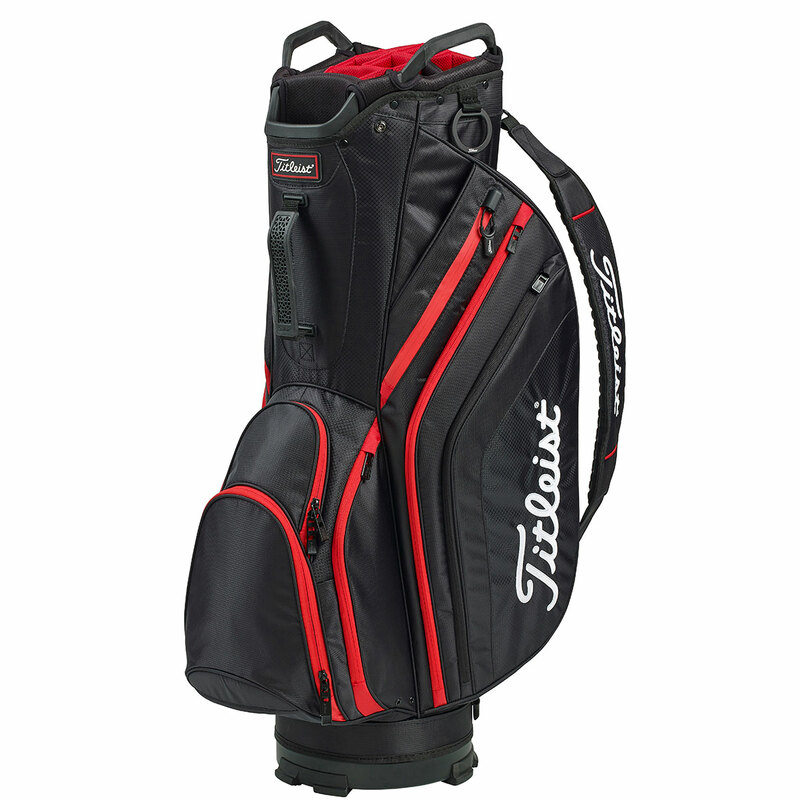 The bag has been designed with highly abrasion resistant materials, lightweight at just 2.6kg for increased endurance during your round of golf. 10 forward facing trolley-accessible zip pockets help to store all of your gear away securely, with a universal base to secure your bag conveniently to your mode of transportation. 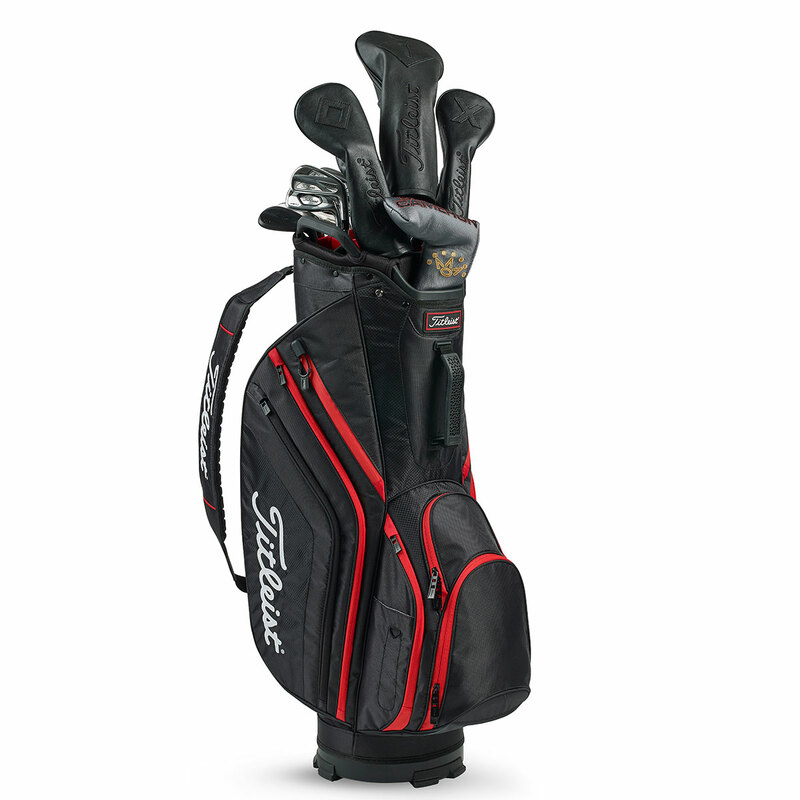 The bag has a tour inspired top cuff, with 14 full-length dividers which include a dedicated putter well to accommodate a modern oversize putter grip. 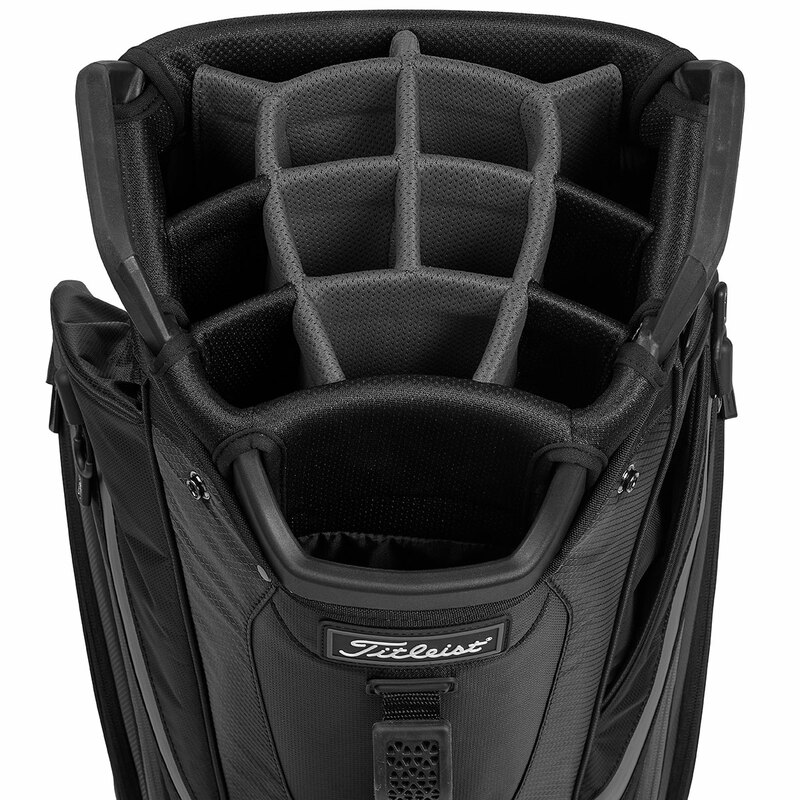 Finer details include lift-assist handles built-in to the cuff for easy moving, and a single padded shoulder strap if you decide to carry. 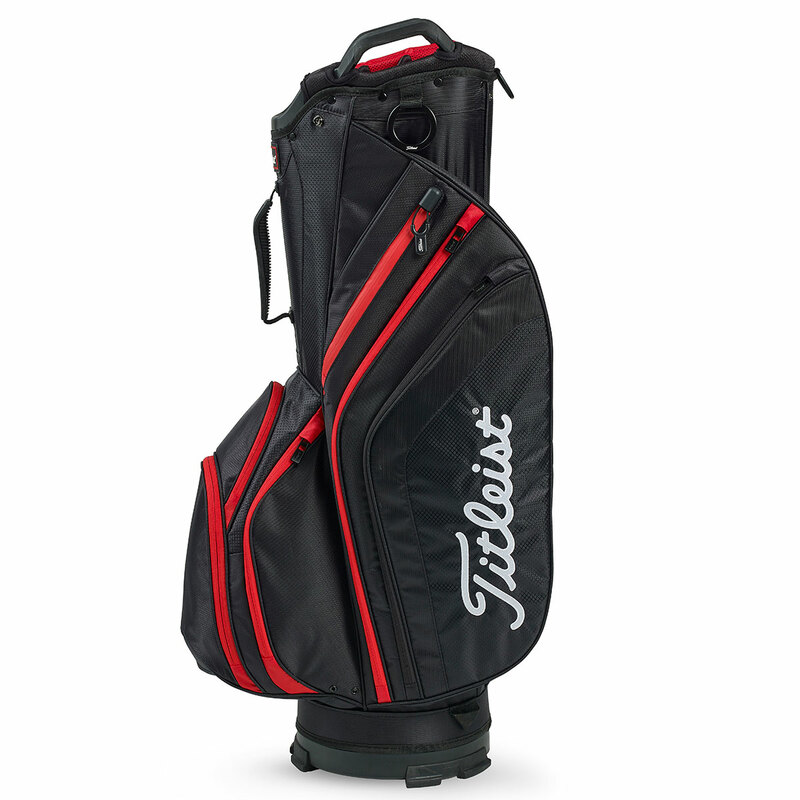 The bag has all the usual features such as an umbrella holder and towel loop, rain hood, and comes complete with tour authentic branding.